Dear Chefs, Culinarians & Colleagues! It is with sad news and sorrow that one of our dear friends and chefs has passed away last week. Chef Larry Mattson, CEC, CCE, AAC, age 73, was a retired, lifetime member of the ACF. He served our chapter for many years, he mentored many chefs, and he will be remembered in our hearts as a true and giving chef. Larry’s services will be arranged and held in Minnesota in May. Our condolences to Nancy, his wife of 48 years, in this time of sorrow. Our chapter historian, Bryan Frick, CEC, AAC, provided a photo from our archives of Chef Larry Mattson. He is the one on the far left. 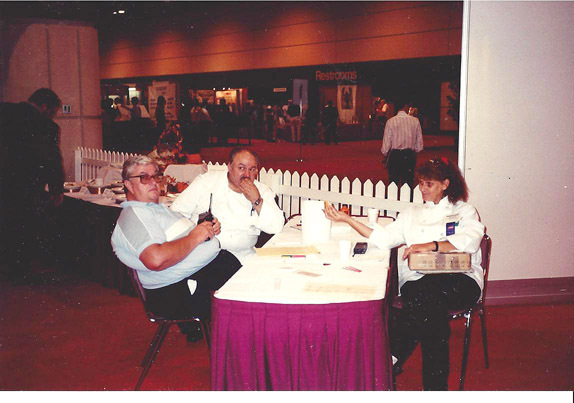 The photo was taken at one of the first FRA Food Competitions our chapter held at the Orange County Convention Center.